The words ‘I want to get a motorcycle’ probably strike fear in the hearts of parents everywhere, so many parents do not know what to do when their own child mutters those scary words. Yet, you can help your kids stay safe on their motorcycle, and help them to understand the responsibility that comes with riding. Motorcycles are not always as scary as they seem, and it is possible to grant your child’s wish to ride a motorcycle and still be a good parent. In fact, if you guide your child correctly, you can help them have plenty of fun on their bike whilst staying safe and being practical. If your teenager has his or her heart set on getting a motorcycle, then you might want to actually hear them out. If your child has sensibly thought out their plans for a motorcycle and it is not just some passing fad, then you would rather they get the bike now while you can supervise and guide their use than later—when you will have no input. Plus, denying your child their wish might imply you do not trust them with the responsibility, which will not build trust between you in those precarious teenage years. You might not be able to stop your child from riding a bike forever, but while they still live under your roof, you can set guidelines. For example, you can allow them to ride a motorbike if they do not ride after dark and stay off highways and difficult roads. 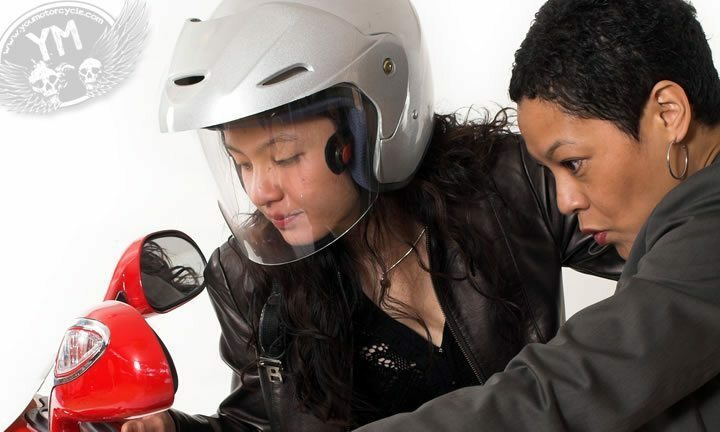 Also, you can make sure that the bike they get is as safe as possible and that they also pick up the right accessories to ensure overall safety. For example, if your child will be carrying passengers, it might be wise to insist they buy a sissybar backrest to keep said passenger safe. As a constant presence in your child’s life, you are in a position to reinforce good habits and ensure that they do not let the freedom of motorcycling go to their head. For example, you can make sure they always wear a helmet and appropriate clothing, and that they take riding as seriously as possible. By constantly reminding your child of these important safety issues, you can make sure that they will always ride their bike in the safest manner possible. Again, remember that you will not always be in this position of influence and power and that is why it might be better to allow them to start riding a bike young. This way, you can make sure they form good habits—unlike if they started motorcycling later in life when you are not around as much. If your child is old enough to legally ride a motorcycle, then they are no longer a child—they are a young adult. Treating them as a young adult is an important way to build trust and to strengthen your relationship with your child as he or she ages. Yet it is also important to ensure they respect you: if you do set boundaries, make sure that they respect them. If you can find a compromise that works for both of you, you can both walk away happy. The best way for you to advise your child is to learn something about motorcycling yourself. You cannot truly counsel your child about motorcycling unless you actually gain some knowledge on the subject, so get out there and get informed. Take a class, ride a bike and read up on facts about motorcycling. That way if your child has any questions, you will be prepared. Lisa Peteres is a freelance writer and blogger who loves to share advice on topics related to motorcycling. Keep an eye out for more articles from her! It would have been good if the article mentioned getting some good training such as the MotorCycle Safety Foundation course. I took this after 40 years of riding and still learned valuable information I still use on the road today. As a motorcycle instructor the best thing a parent can do is get their child registered in a novice and traffic motorcycle classes with a professional riding school. Better still get kids to pay for half of the course because it gives them ‘buy in’ into the learning process. I’ve seen kids enrolled by their parents and they have not bought into the learning process, if kids have a stake in it then they are more motivated. Instill in your kid the value of ATGATT and a fullface helmet, if a parent rides with little or no gear kids will follow the example. Guide them in their first bike choice, make sure its a good light weight manoeuvrable bike where they can hone their skills, kids don’t need a litre bike, most 250’s have more than enough oomph and they aren’t going to ride the bike to its limits anyway with their skillset. Make sure they get out practicing skills regularly in a parkinglot. Set limits, be firm & let them know your expectations.I would suggest also having kids pay a portion of the bike insurance it helps them to understand the responsibility of owning a bike is costly and it is a privilege to ride and mistakes are costly. It’s true, I’ve put about 40,000 – 50,000 km on bikes that were 250cc or less. More than enough to get around. 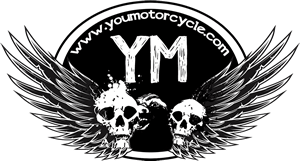 Pingback: 5 Ways to Help Your Kids Stay Safe on Their Motorcycle | Do You Even Ride?